When Bugnini described the reaction of the Bishops to the reformed Easter Vigil as an “explosion of joy throughout the Church,” his jubilation was premature – the boast immediately backfired. From 1951 onwards, the reform ran up against an intractable problem: a sense of Catholic Tradition among the majority of the faithful that could not be steamrollered out of existence. That would take some time longer to achieve. By 1959, the American Augustinian writer, Fr. Dennis Geaney, commented glumly that “the restored Easter Vigil meets with quiet but stubborn resistance.” (1) The people, in other words, were loath to give up their Holy Week traditions that had been an integral part of Catholic life for centuries. In his opinion, only strictly liturgical rites were of any real value and dignity. That is why liturgical reformers did everything in their power to accelerate the collapse of pious customs and traditions that were dear to the Catholic faithful. There is no doubt that the reformers viewed their efforts in terms of a zero-sum game in which the winnings on their side must necessarily equal the losses on the side of traditional Catholics. Suddenly, devotions found themselves in competition with the liturgy, whereas traditionally they had always been regarded as a means of supplementing the benefits of the liturgy by increasing the religious fervour of the faithful. 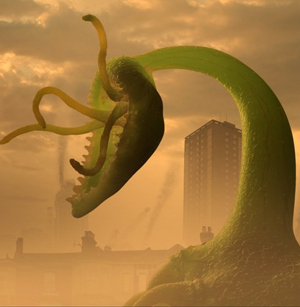 Devotions were thus depicted as a feral population of sinister weeds – the word “triffids” comes to mind – advancing on the liturgy with malevolent intent. This was one example of the sort of irrational prejudice on which the Liturgical Movement thrived. The history of the Liturgical Movement has shown that any attempt to systematically root out popular devotions destroys not only those forms of piety but piety itself. Wherever deeply ingrained Catholic traditions – whether liturgical or not – have been rooted out, the void is invariably filled by activities of a secular nature, from which a sense of holy reverence is necessarily absent. In Mediator Dei Pius XII robustly encouraged and defended traditional devotions. (8) That was before he appointed the members of his Liturgical Commission. 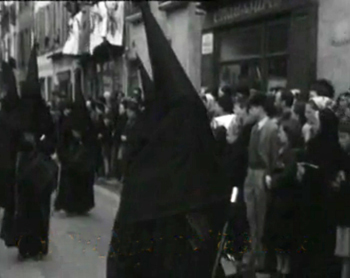 But by 1955 there was a distinct change in papal policy towards the popular devotions traditionally associated with Holy Week. They were mentioned only once in Maxima Redemptionis where they were treated with aloofness and disdain, as if they were unworthy interlopers on hallowed ground. By playing liturgical and “extra-liturgical” ceremonies against each other, Maxima Redemptionis thus stirred up a spirit of contention in the Church with the Sacred Triduum at the center of the storm. In the accompanying Instruction that followed the Decree, Bishops were no longer requested to actively promote devotions, but to treat with caution (“prudenter”) the various popular customs (“populares consuetudines”) associated with Holy Week. (see document here). In the same document the traditional devotions were referred to as problems to be solved (“De quibusdam difficultatibus componendis”) – in other words spokes in the wheel of the Liturgical Movement – rather than as cherished traditions and efficacious means of spiritual renewal for the faithful. Furthermore, the Bishops were asked to instruct the faithful that the “restored” Holy Week rites were vastly superior to any of their devotions. (12) The message, rammed home with heavy force, about the superiority of the Church’s official liturgy over popular devotions, was another straw man argument. What traditional Catholic would deny that the liturgy is the very acme of Catholic worship? The progressivist Bishops in the Liturgical Movement understood the radical revisionist implications of the Decree far more clearly than many of the conservatives outside the Movement. The underlying Bugnini-inspired message was that they should be on the alert to defend the boundaries of the reformed rites against any competition from traditionalists. 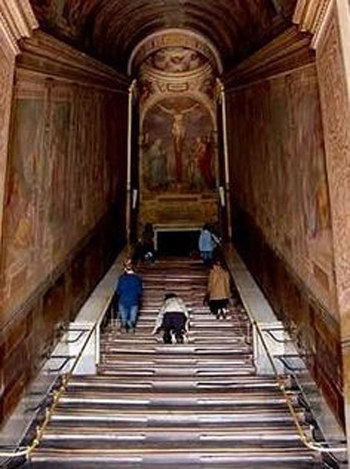 It was also clear to the progressivists that the millions of Catholics who found spiritual refreshment in the Holy Week devotions were given no encouragement to continue doing so, and that without such encouragement from the pastors the traditional devotions would wither and die. So, the good of souls was not the point at all: it was rather the reformers’ desire to use the Church’s liturgy as a means to a self-serving end – to indulge their animosity to the devotions that were popular with the faithful. Maxima Redemptionis and its accompanying Instruction, thus, helped to give a negative connotation to the traditional Holy Week devotions, implying that these were in some way usurping the role of the Church’s official liturgy. It was only a matter of time before these anti-devotion sentiments would become entrenched in the mainstream Church to the point where they would routinely produce a “knee-jerk” reaction in most of the clergy against the very concept of Catholic piety. With the initial impetus given by Maxima Redemptionis, those pious practices connected with Holy Week, which the Liturgical Movement has been doing everything possible to suppress, were officially consigned to oblivion. Joseph Jungmann, “The Constitution on the Liturgy” in Herbert Vorgrimler (Ed. ), Commentary on the Documents of Vatican II, vol. 1, New York: Herder & Herder/London: Burns & Oates, 1967, p 17. The only places where popular devotions may be tolerated are in the home, at meetings, in schools and in some religious societies – but certainly not in church. 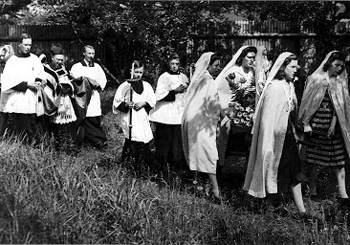 The most popular Holy Week devotions were visiting seven Altars of Repose, the Stations of the Cross, the Tre Ore – a Good Friday service consisting of sermons on the Seven Last Words, meditations and hymns commemorating the Three Hours’ Agony of Christ on the Cross – religious processions in the streets, and the blessing of homes on Holy Saturday evening. The latter was specifically eliminated in the Instruction accompanying Maxima Redemptionis to make way for the “restored” Easter Vigil. The governing body of the Republic of Venice. AAS, 1955, “Instructio De Ordine Hebdomadae Sanctae Instaurato Rite Peragendo,” p. 847. Based on the fact that dog whistles are of such high frequency that they can be inaudible to the human ear, a “dog-whistle strategy” is a form of political messaging employing coded language whose meaning is lost on a general audience, but has a specific resonance for a targeted subgroup. The relevance here is that the members of the Liturgical Movement who were “in the know” would take away the secret, intended message.